Start Walking Without Pain | Palm Desert Laser Treatments Do you endure chronic pain each and every day, due to neuromas, neuropathy, or another foot or ankle condition? Stop living in pain! A lot can change in a relatively short time. We see that every year here in Coachella Valley, when in the span of one month the population of the region can change by 100,000 or more. The treatment of fungal toenails is another thing that’s changed quite a bit in just the last few years. Previously, oral antifungal medication was the treatment of choice, but this method came with the risk of side effects such as liver damage or skin rashes. 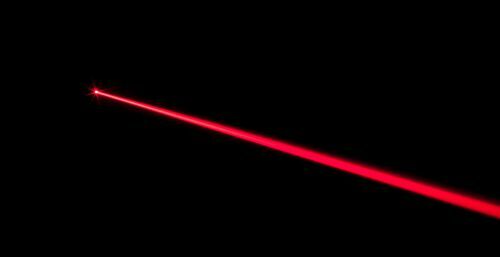 Now, however, there is a 21st-Century solution to this tough problem—laser therapy. Laser therapy for fungal toenails is safe, easy, and effective. The tool uses a specific wavelength of light that penetrates through the nail, targeting the fungi that live underneath directly. A typical treatment course involves 6 sessions, each lasting about 10-40 minutes at our office, depending on how many toenails need treatment. There’s absolutely no pain—if anything you may feel a slight warming sensation—with no drugs or anesthesia needed. You don’t need to remember to take a daily pill, nor deal with potentially troublesome side-effects that oral medications can cause. Most importantly, the treatment works, with a higher cure rate and lower rate of re-occurrence than traditional methods. True, like any other method, it will take time (several months to a year) for the damaged portion of your toenail to fully grow out, but in most cases people see an obvious improvement in the color of their nails after just a few sessions. If you’re sick of putting up with ugly, embarrassing fungal toenails and you’re looking for a real solution, without the side effects of old-fashioned medical treatments, call Harvey R. Danciger DPM and see if laser therapy is right for you. You can set up an appointment at our Palm Desert, CA office through this website, or by dialing 760-568-0108.